Currently the vast majority of used ceiling fans sell for little or nothing. There are some exceptions to this rule. 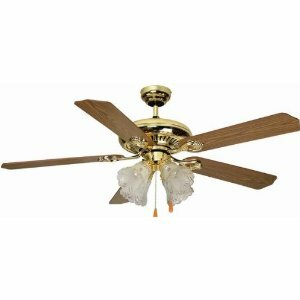 First of all, Casablanca ceiling fans from 1980 to current hold their value and usually resell for fair prices. In the past this has been true even of non-working fans, however replacement parts are becoming harder to find and so fans in need of repair are losing value as well. 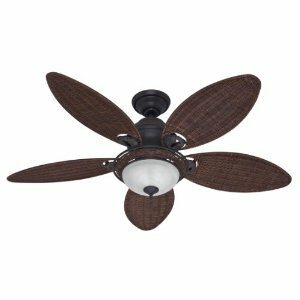 Second of all, cast iron ceiling fans such as older Hunter Originals have good resale value. Lastly, antique ceiling fans (pre-1950s) have been valuable for some time. These fans are also cast iron. As for fans that do not fall into these categories, the fancier and newer it looks, the better chance you will have of selling it. Showroom brands (Minka Air, Monte Carlo, etc) sell for more than home center brands (Hampton Bay, Hunter, etc). Non-working fans not falling into these categories have little or no resale value. Feel free to contact us and we will assess the value of your fan. 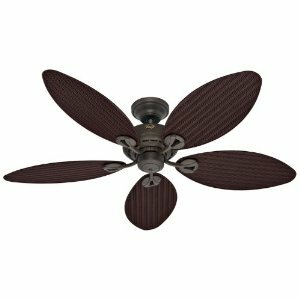 The most popular medium for selling used ceiling fans is online. If you determine the fan has value something based on the above criterion, or would like to give it a shot, place it on eBay with a starting bid in the $1-10 range. The final auction price will almost always meet or exceed the value of the fan, regardless of the low starting bid. Keep in mind selling on eBay you will have to disassemble and pack the fan carefully, and ship it at the buyer's expense. If you want an easier sale for a lower price, or if you determine that the fan is worth very little, post it on Craigslist for $10-20. This usually works better for fans such as Hampton Bay, Harbor Breeze, and other lower-cost newer fans. Another option, if your fan has little or no value, you can donate it to a local Habitat for Humanity affiliate or other resale shop. Most non-profits offer tax deductions for donations. Lastly, the technicians of this site often buy used ceiling fans from the 1980s or older. Contact us to see if we're interested. Almost every used ceiling fan has some minor issues sellers and buyers need to be mindful of. First of all, in removal and disassembly, more often than not the mounting bracket that attaches the fan to the ceiling is lost in the shuffle. Sometimes this bracket is very standard and easily replaced, other times it is proprietary and renders the fan useless without it. 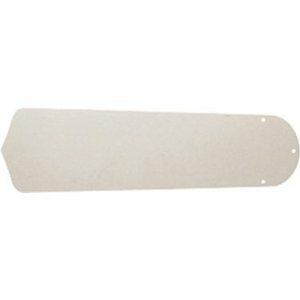 See Ceiling Fan Parts. Blades and blade arms usually get bent slightly in removal and transit, so expect that any used fan will need careful balancing (see balancing instructions). Older fans sometimes need oil (see oiling section), especially those that are designed to be oiled on a regular basis. In most cases, the motor not spinning freely by hand is a sign of a fan needing oil. Check to be sure all pullchains are intact (see Pullchain Replacement instructions), if there are no visible pullchains does the fan require a remote or wall control, and is it included? (See Remote section and Controls section). Again, it is unlikely that every single screw will successfully make it's way from one installation to another, to expect a trip or two to the local hardware store. Often times you can end up with a better quality ceiling fan spending $50 used, than spending $100 new. Just keep in mind, it will be more a of a project than simply opening the box of a new fan from Menards. As for sellers, you can usually profit at least a little gas money, if not a nice dinner out for the whole family. But the best return is knowing your discarded item is going to good use. There's no point in throwing away something others can appreciate. eMail us. 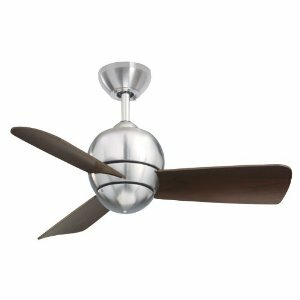 We are the experts on buying/selling ceiling fans. Brand : Craftmade Part Number : B544S-AW Assembled Height : 1 inches Assembled Length : 18 inches Assembled Width : 12 inches Weight : 5 Pounds Item Package Quantity: 1 Color : multi Voltage : 120 volts. For nearly 50 years, Panasonic has delighted American consumers with innovations for the home and business. Panasonic's consumer electronics and technology has a wide range of award-winning products. Panasonic FV-08VQ5 WhisperCeiling 80 CFM Ceiling Mounted Fan is a ventilating fan that shall be Low Noise mount type rated for continuous run. This fan is energy star rated and certified by the Home Ventilation Institute (HVI). Evaluated by Underwriters laboratories and conform to both UL and cUL safety standards. 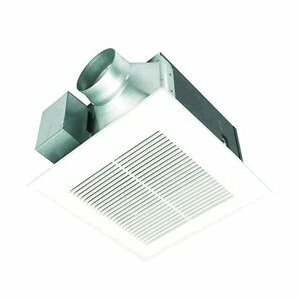 The motor/blower for this ventilation fan is UL listed for tub/shower enclosure when used with a GFCI branch circuit wiring. It has four-pole totally enclosed condenser motor rated for continuous run and has a removable with permanently lubricated plug-in motor. With its round lines and curved plywood blades, Tilo will look great in any room, large or small, while fulfilling its utilitarian duties. 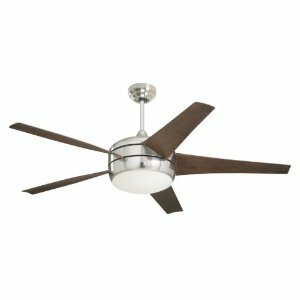 The Emerson Fan CF130BS is a Tilo Ceiling Fan with the SW46W - 4 Speed Fan Slide Wall Control in the Brushed Steel motor finish. 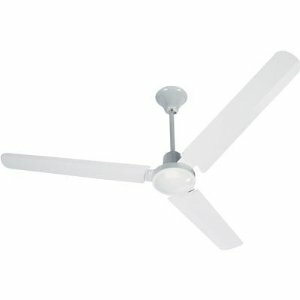 This Ceiling Fan is from the Tilo Collection and is UL Damp rated. The Tilo Includes 4.5" (1/2" Interior Diameter) Pole.